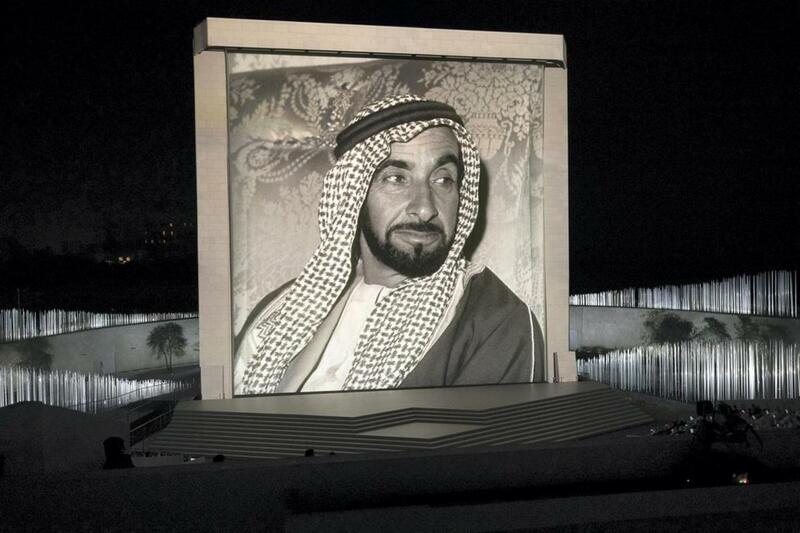 Beloved by all his people, the face of Sheikh Zayed once again looked out across the city of Abu Dhabi last night with the official opening of a new art installation to mark the centenary of his birth. 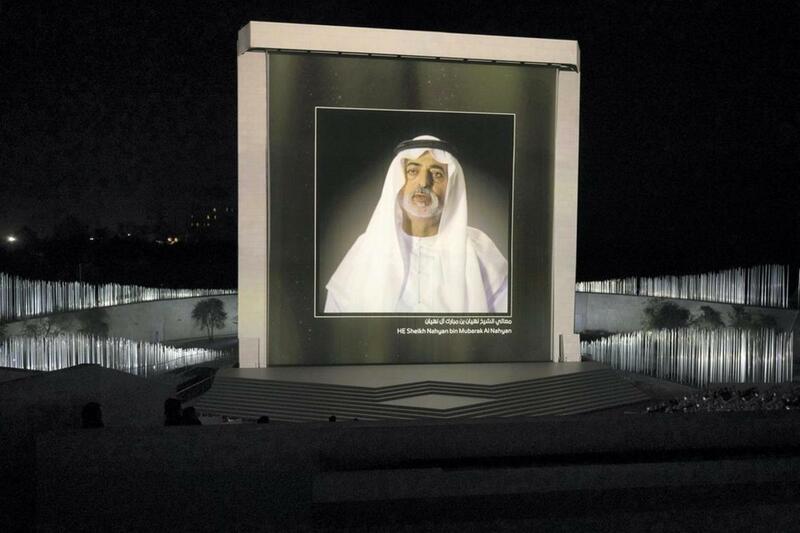 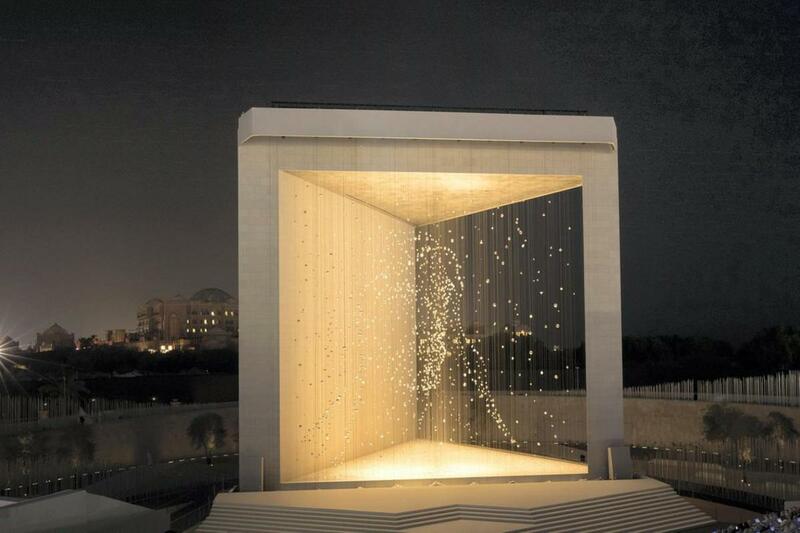 Composed of over 1,000 illuminated shapes, the Founder’s Memorial recreates a likeness of the Founding President of the UAE as reflected in points of light. 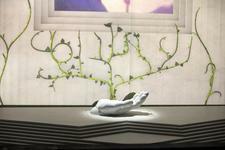 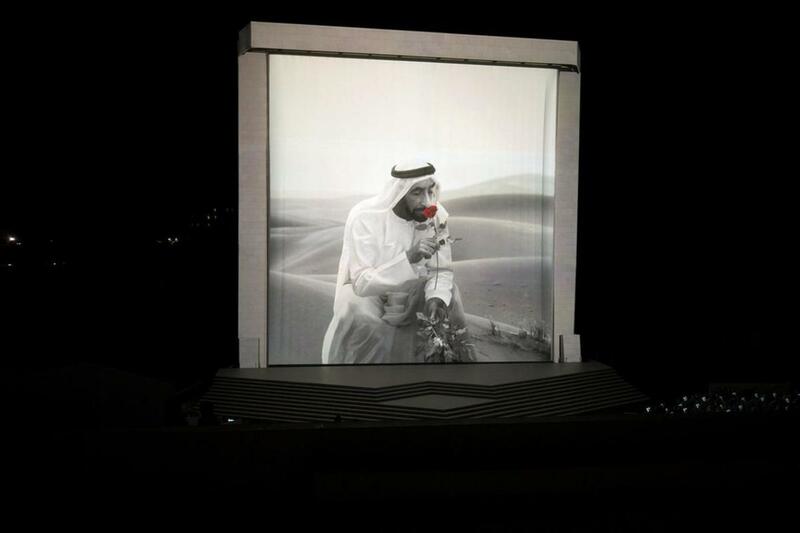 The artwork is the centrepiece of a site on Abu Dhabi Corniche and is being opened to coincide with the Year of Zayed. 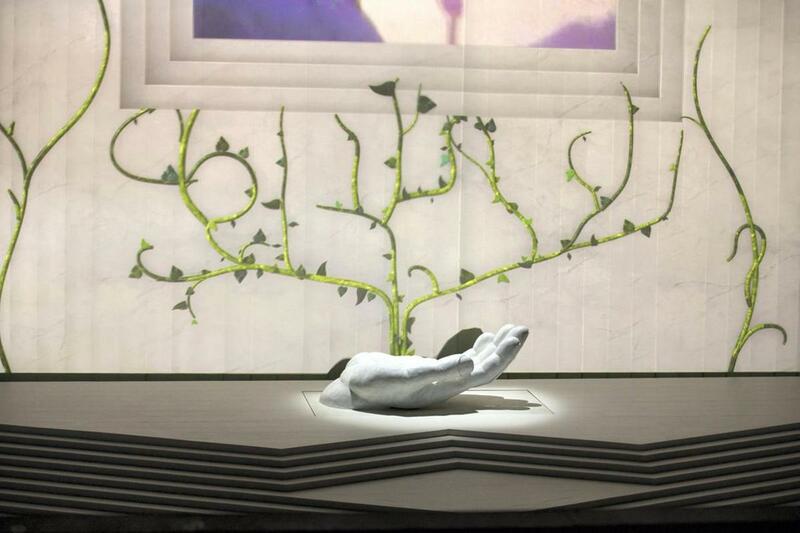 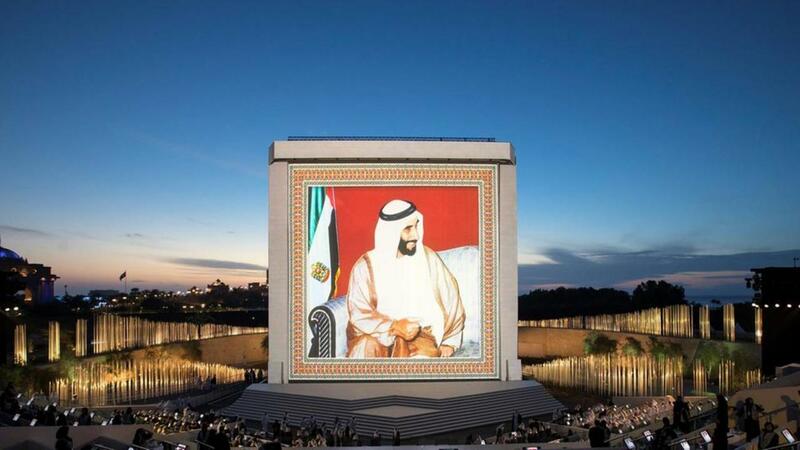 Images were projected on a large screen covering the memorial, including an homage to the original, 35-metre-tall portrait of Sheikh Zayed painted by Pakistani artist Liaquat Ali Khan that was displayed on the site since at least the turn of the millennium. 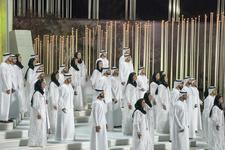 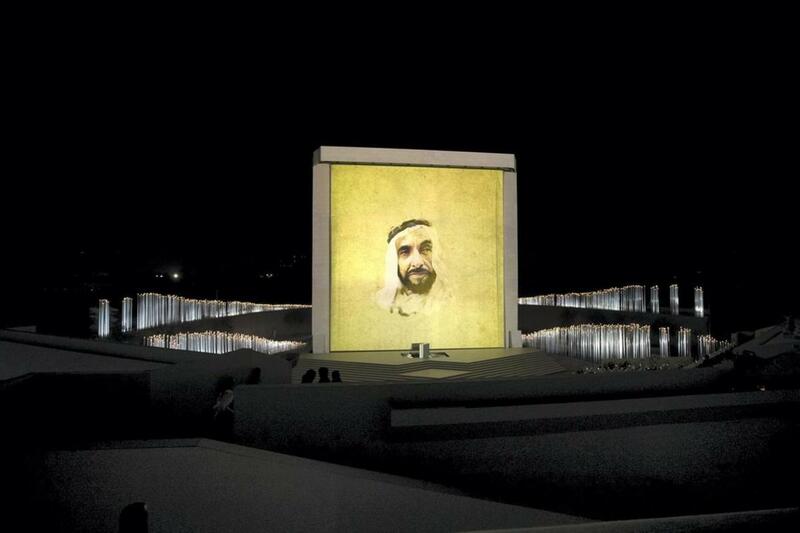 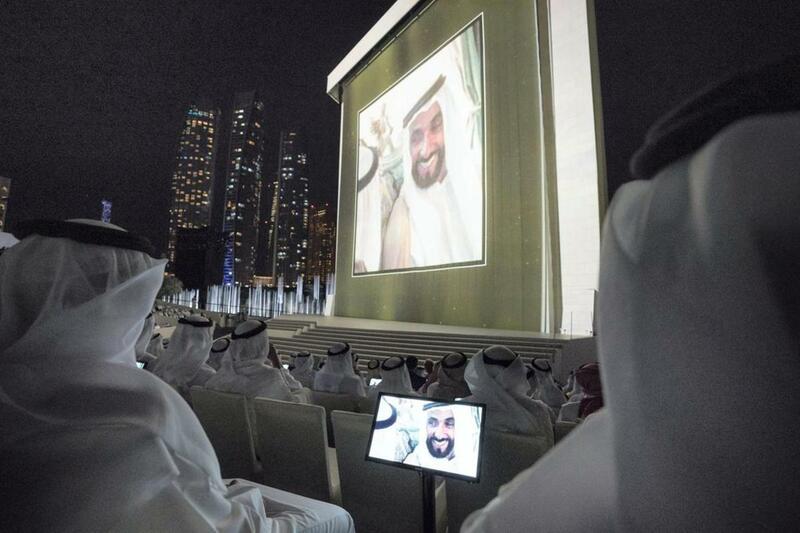 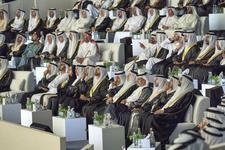 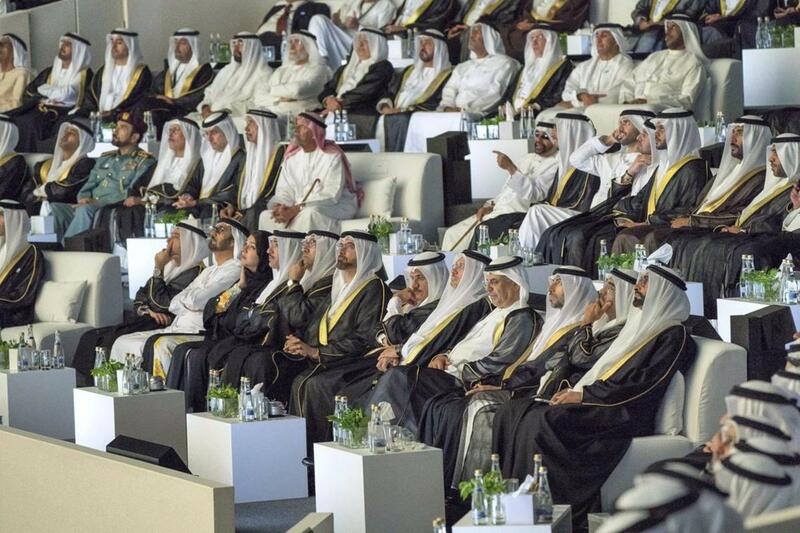 The opening ceremony included CGI wizardry that saw some of the most famous images of Sheikh Zayed brought to life on the same screen, including the portrait of the former President as a young man, taken by the noted British explorer Wilfred Thesiger and a later image of Sheikh Zayed with a single rose. 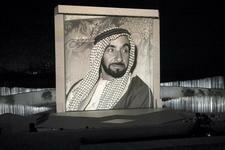 "As Sheikh Zayed grew up in the desert, he stared at the sand and imagined a different future and the dream started developing into a reality in 1971. He is the father of everyone," said the accompanying commentary. The show included scenes of the seven emirates as they were over half a century ago that then transformed into the modern country as it is today: locals running under the dome of the new Louvre Abu Dhabi, Al Ain Oasis and children flying kites. 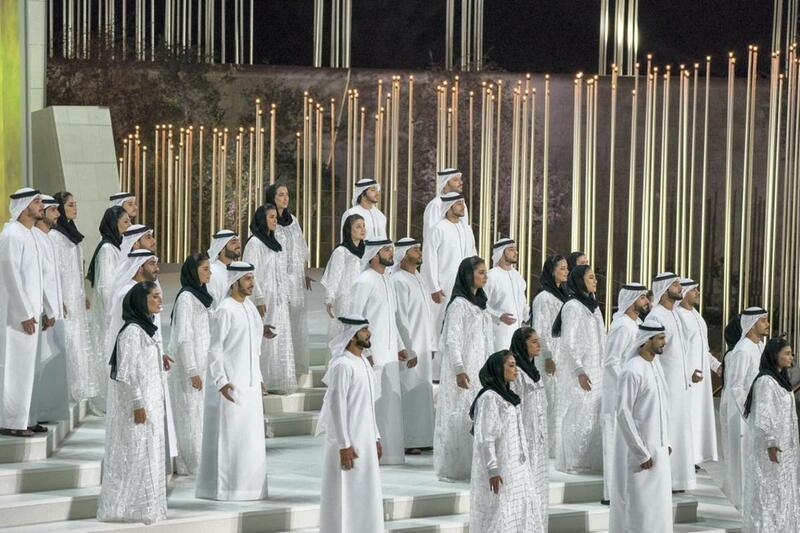 A 40-strong choir then performed Allah Ya Dar Zayed, as well as new arrangements of other traditional songs and music, and a touching compilation of Sheikh Zayed's performances of the traditional Ayala dance. 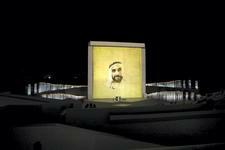 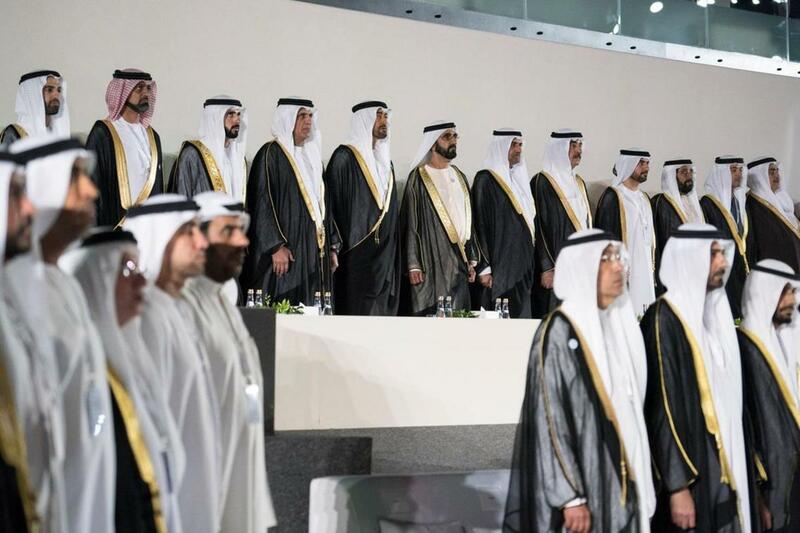 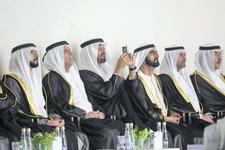 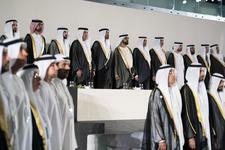 Sheikh Mohamed bin Zayed Al Nahyan said the memorial would help people understand how the happiness of his countrymen was Sheikh Zayed’s only goal.